How did the “Columbian Exchange” of diseases, plants, and animals influence culture, medicine, and religion throughout the Atlantic basin, and beyond? How does the Scientific Revolution connect to the rise of the global drug trade? How did enslaved and indigenous peoples navigate the pathways of empire, and what role did medicine and healing play in their self-fashioning and in the roles imposed upon them? These are questions addressed in my PhD research, which I am now turning into a book. Another strand of my research involves knowledge networks and the history of globalization. I’ve presented on this topic internationally and am especially interested in “go-betweens” who mediated between European and non-European cultures. To study this question in more depth, I researched the impostor George Psalmanazar and wrote an article about the circulation of his claims that appeared in The Journal of Early Modern History in 2013 (you can read it here). I’m also interested in the history of animals and technology, and have published an article called “The Elks Are Our Horses” that explores the role of domestication and the introduction of new species in the North American interior. As of the spring of 2019, I’m working on two book projects. The first is a history of “psychedelic science” and Cold War drug experimentation between 1945 and 1965. Key figures in this book will be John C. Lilly, L. Ron Hubbard, Alan Turing, and Margaret Mead, with walk-on appearances by Carl Sagan and Gregory Bateson. 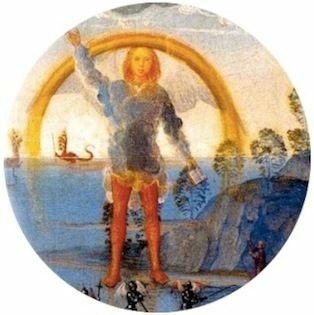 I have also begun work on a book about magic, technology and cross-cultural contact in recent world history and a book about the entanglement between technological innovation and occultism from the Victorians to the Internet (two early forays into this topic can be read at The Appendix and The Public Domain Review).